Demeyere specialities deliver high quality performance. Note the following care instructions to ensure durability of the materials and ensure that you can enjoy your specialities for many years to come. When frying in a wok, try to avoid large portions - gradually add small amounts instead. This prevents the temperature in the wok from dropping suddenly. Stir the ingredients constantly until everything is cooked. Stir from the middle to the side. The constant stirring and turning ensure that the ingredients are all cooked evenly and prevent them from burning. 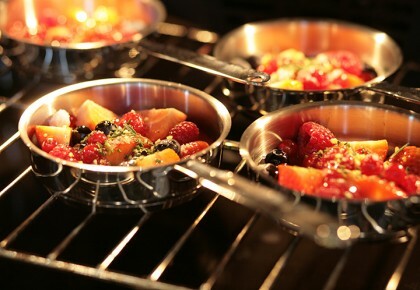 If the dish looks as if it will dry out or burn, add a little water or turn down the heat of the stove. Take care not to use too much water, otherwise you’ll braise rather than fry. Larger pieces of meat or fish or large amounts of food are best fried on a teppanyaki/plancha. Put the hot plate on two cooker rings or in the oven. 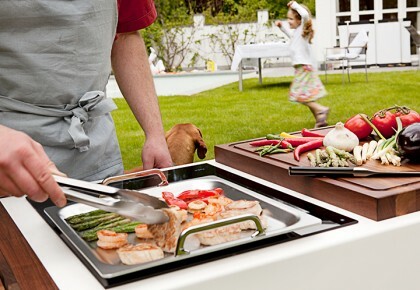 This is the best way to prepare delicious "shrimp à la plancha" or several steaks, soles, vegetables, snacks etc. 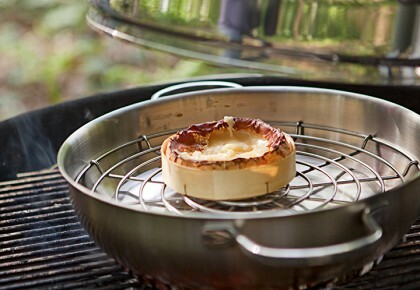 The large plate can be divided into two cooking zones; place it on two cooker rings (one large and one small) and set the rings to different heat levels. Fry the ingredients quickly on the hot zone and then slide the cooked food towards the cooler zone, to further cook or keep hot. Allow the smoking set to cool after use. Make sure that you do not remove the collector plate until then. Once the ash has cooled, you can simply turn the pan over, pour the ashes into the bin and then clean the pan. If you do not need the juices left over from the frying for the sauce, let the wok cool down and pour in a little water. 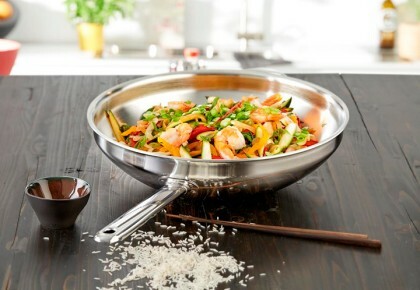 This loosens the burnt food residues, making the Wok easier to clean.